Florida Democrats continue to put health care at center stage as they look to end nearly 20 years of Republican rule. 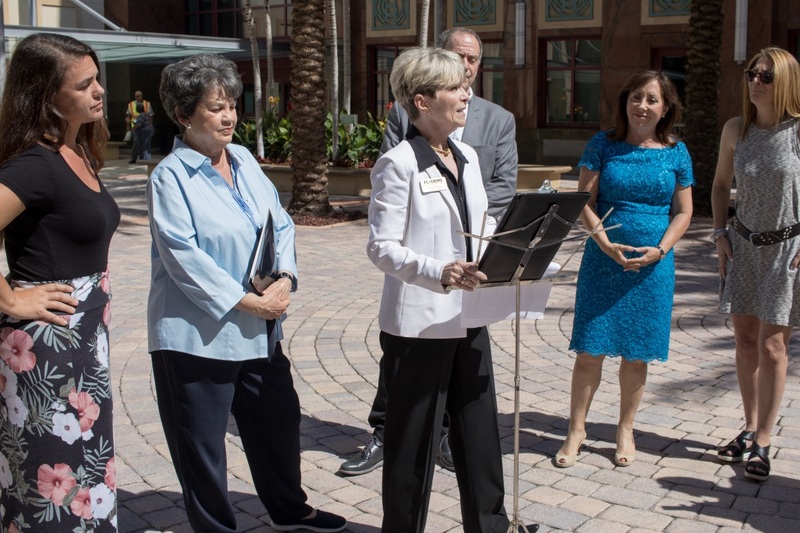 On Monday, FDP brought its statewide Medicaid Expansion tour to West Palm Beach with Congresswoman Lois Frankel, Senator Lori Berman, FDP Chair Terrie Rizzo, medical professionals and people who have been affected by Rick Scott's decision not to expand Medicaid in Florida. 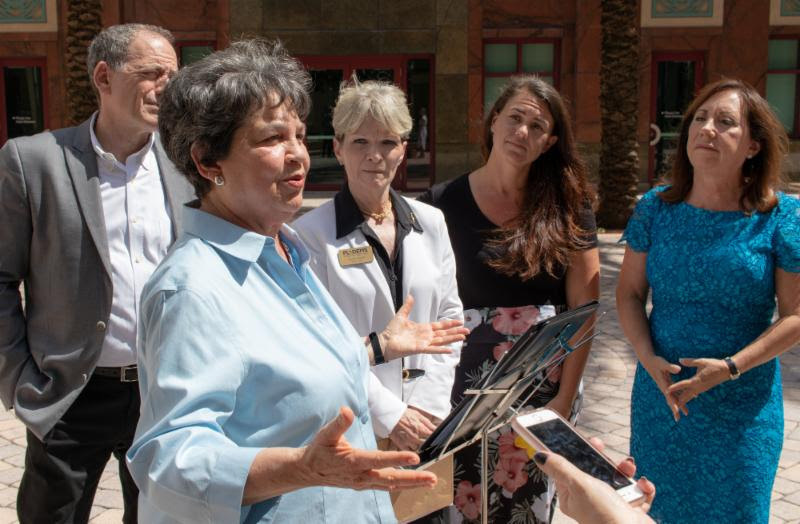 "What’s going to be on the ballot is if 800,000 plus people will be able to go to the doctor and receive medicine," said Congresswoman Lois Frankel. "Democrats say yes to healthcare, which is a basic human right, and Republicans are saying no." Medicaid expansion is one of the most critical issues in the 2018 election — and one of the clearest contrasts between the Republican and Democratic gubernatorial candidates. "These are people who don't get preventative care, who end up coming to our hospitals when they have acute sicknesses, and costing taxpayers millions of dollars because of our failure to act on it," said Senator Lori Berman, "and not only is it a monetary issue, but it's a humane issue." Democrats continue to use the Medicaid Expansion tour to shine a light on Republican's record on health care. After a year and a half of Donald Trump, premiums are set to rise by $1,000 next year. And after eight years of Rick Scott, Florida has the third-highest percentage of uninsured adults in the country. 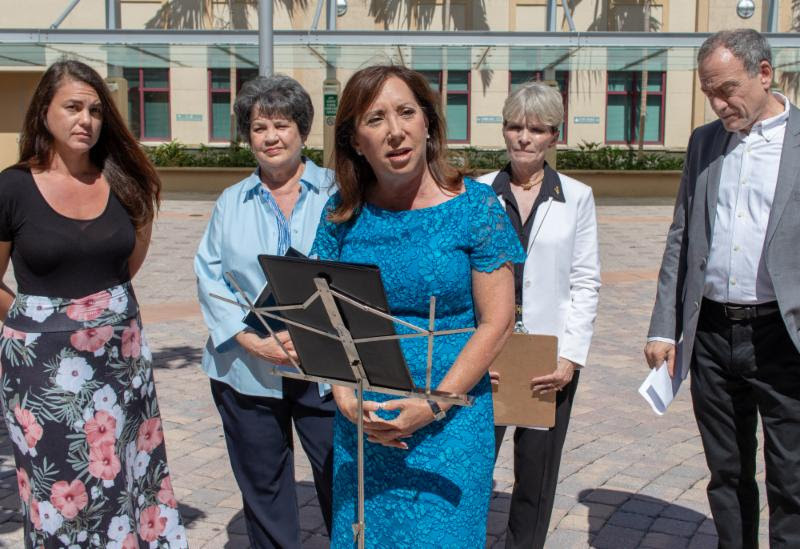 "Rick Scott has spent the last eight years refusing to expand Medicaid and denying healthcare benefits to more than 800,000 Floridians," said FDP Chair Terrie Rizzo. "Adam Putnam is running to continue his cruel and sick legacy. We need to elect a Democratic governor and Democratic legislators who will expand Medicaid and ensure that every Floridian has access to affordable, quality healthcare." Mothers, Adriene Fern and Amanda Kopacz, spoke about the critical role Medicaid has played in their own lives, and the effects of being locked out of the system. Dr. Brent Shillinger, former president of Palm Beach County Medical Society, also spoke about how not expanding medicaid has taken a toll on his patients. "We have hundreds of thousands of people with serious mental conditions that could be covered under Medicaid expansion right now, but in this moment are not covered and very likely not receiving treatment," said Kopacz. Monday's event follows last week's launch in Gainesville. 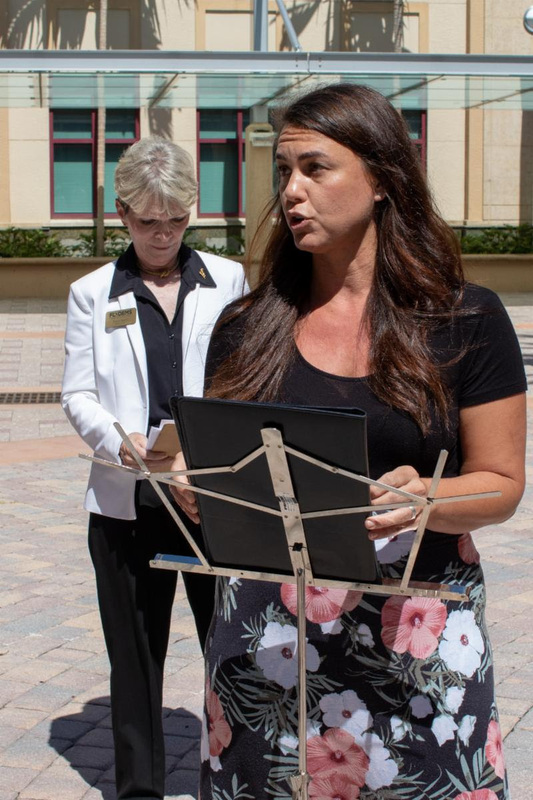 In the coming months, the Florida Democratic Party will continue to hold events across the state explaining why Medicaid expansion is on the ballot this year.